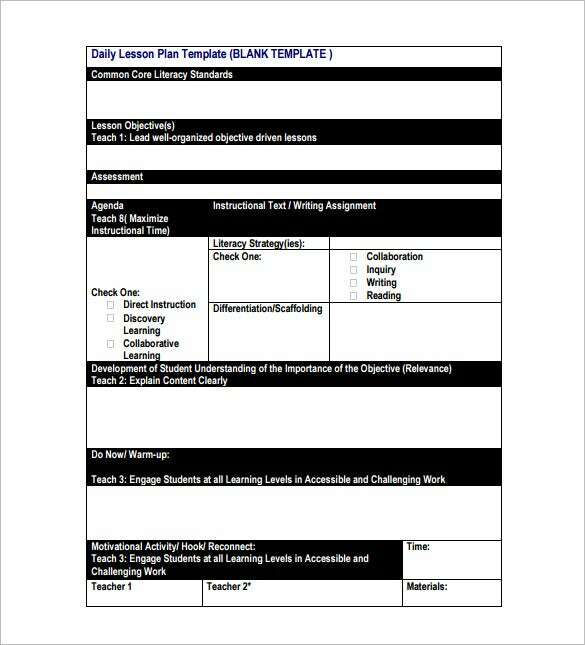 Every teacher must follow a daily lesson plan template– be it means Lesson Plans for Toddlers or middle school or high school. 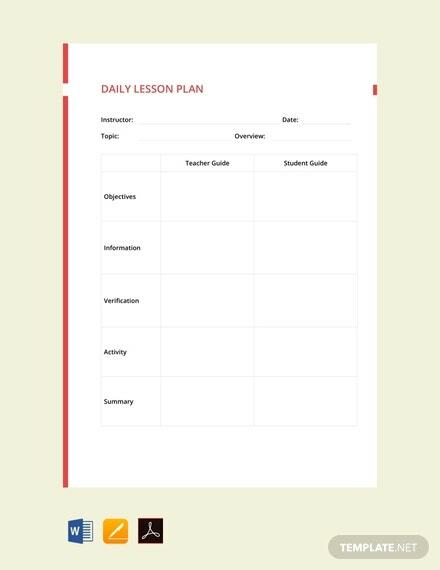 The plan will clearly notify on the particular lesson or lessons to be introduced to the children – including the lesson objective, summary, resources to be used and so on. 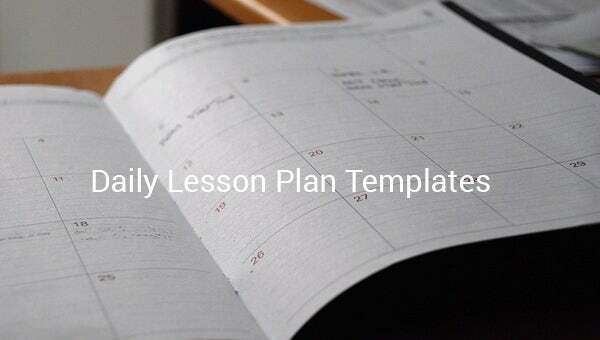 There should also be a place for the lesson summary. 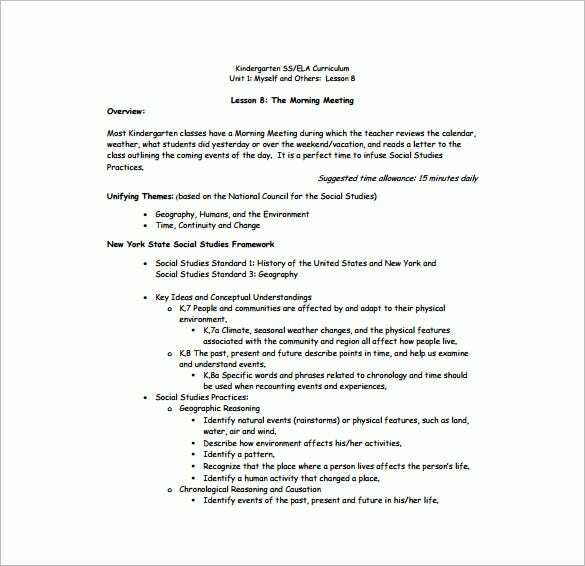 scholocaustcouncil.org | This is a detailed Standards Based daily lesson plan which starts with table on understanding of application unit- followed by essential questions about the unit, the academic standards and the final lesson plan. 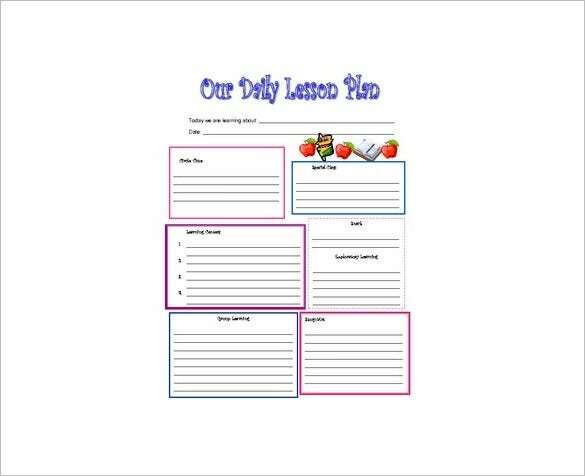 homeschool-life.com | This simple daily lesson plan begins with the list of topics or subjects mentioned on the left while the right side is about the days and what activities are to be don each day under every topic mentioned. 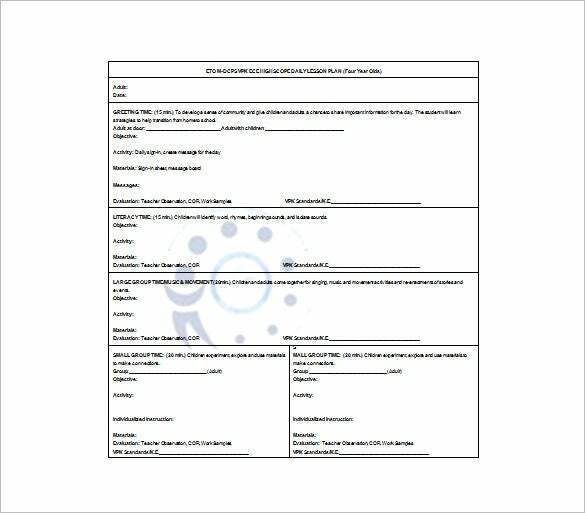 This cute lesson plan for preschool students carries a comprehensive structure which includes everything usual in a preschool class- such as learning centers, circle time, story time, potty breaks & more. 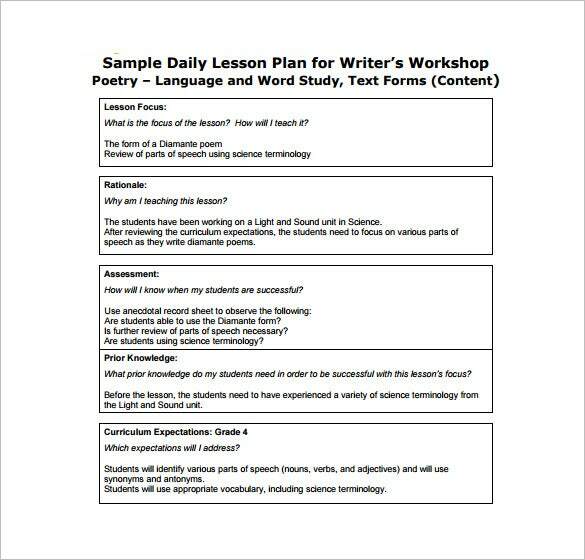 eworkshop.on.ca | This lesson plan looks neat and organized. 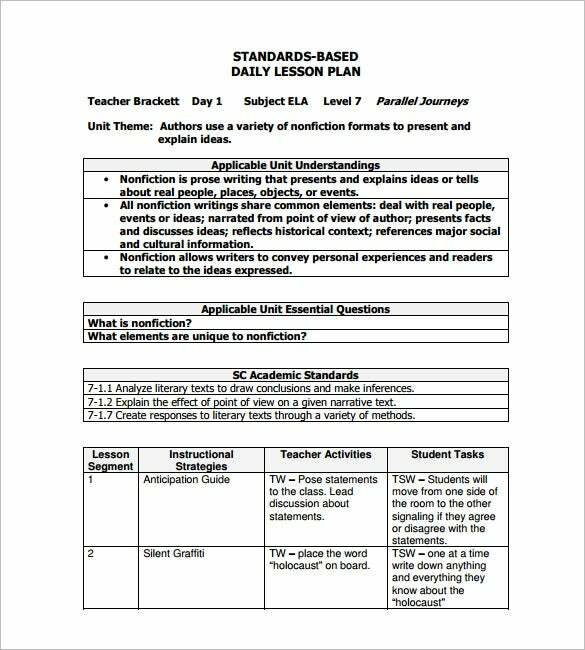 It is divided into several horizontal tables with all the important parameters of a lesson plan for writers- such as lesson focus, rationale, assessment, prior knowledge & curriculum. 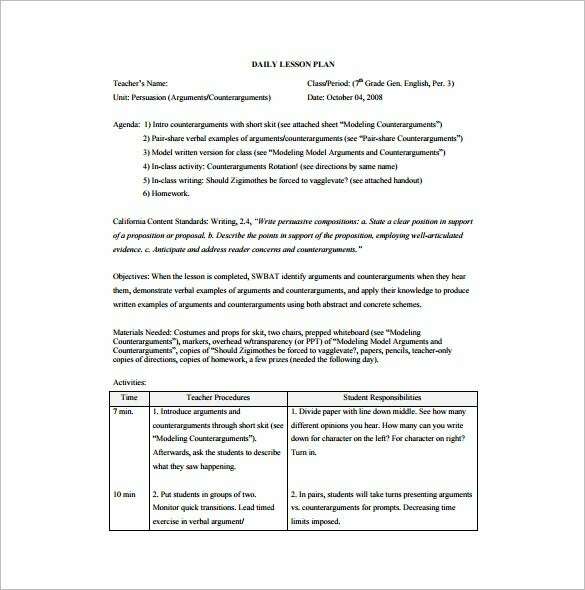 csun.edu | You are getting an elaborate daily lesson plan here which comprises of all the important elements of a proper lesson plan such as agenda, standards, objectives, materials needed and a table on teachers procedures & student objectives. 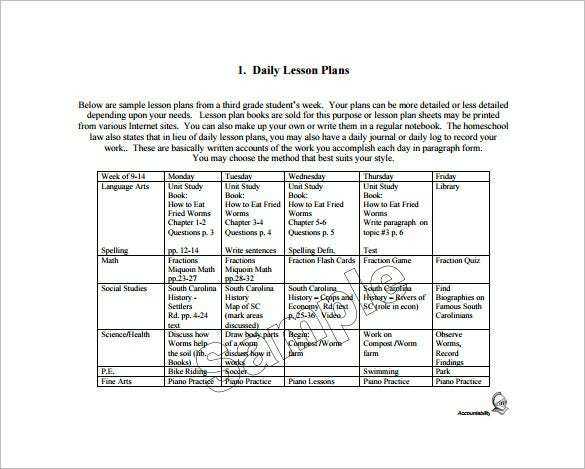 balloudc.org | This daily lesson plan for school students begins with Common Core Literacy Standards and goes on to include lesson objectives, agenda, understanding of objective, the tasks for the students and motivational activities. 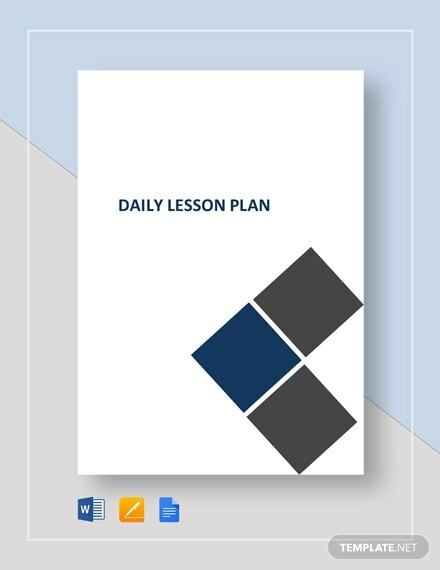 You will find daily lesson plan template Excel for any subject you are into – be it math or language or music and so on. 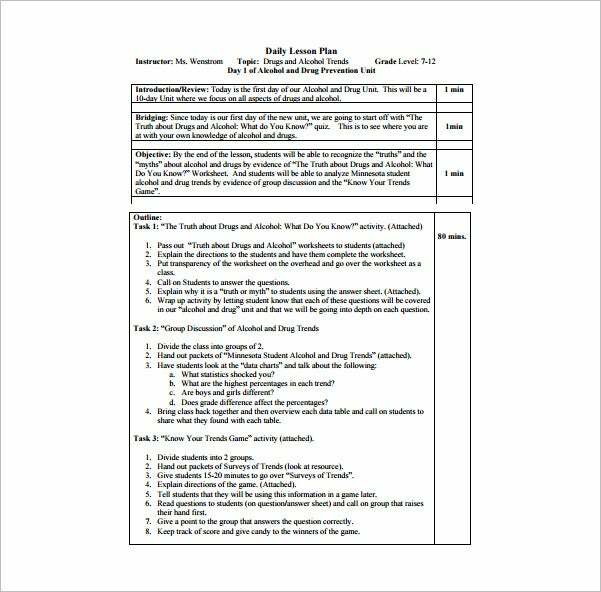 These Free Lesson Plan Templates will show you how to proceed in an organized way with your class lessons.